Ed Ruscha Ed Ruschais an American artist known for his paintings of type. My mandate was to represent his work in the form of a book jacket. Edward Ruscha is best known for his large-scale paintings of words. His passion for typography is such that he believes that "letters have no size". This statement is what drove me toward the final piece created here. Shown are some spreads mocked up to be on the inside of the book. 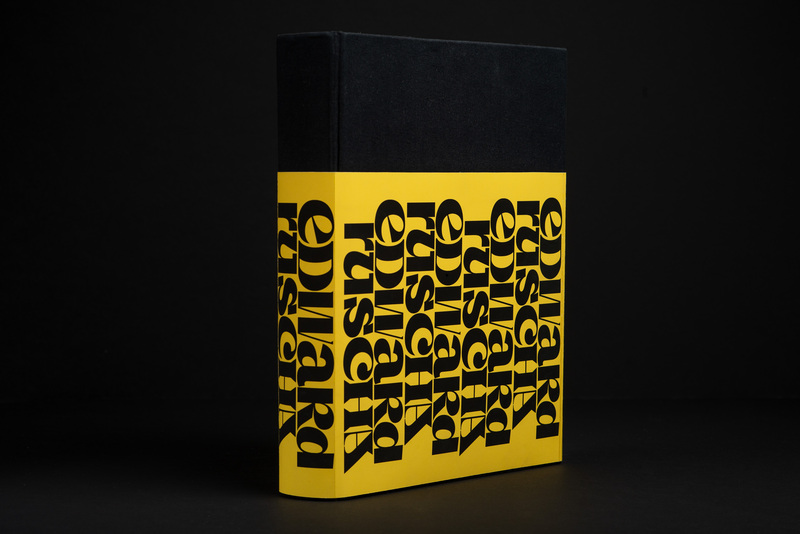 While it wasn't exactly created, the book's graphic style was established based on Ruscha's work. 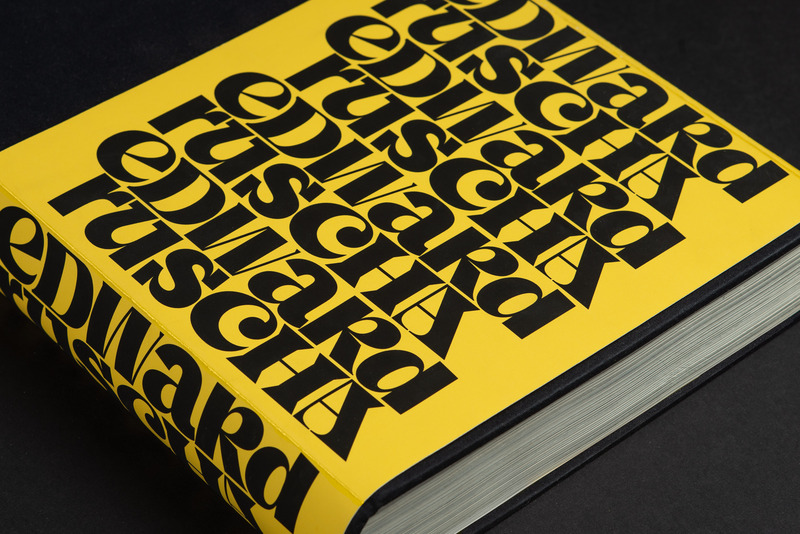 Keeping with the theme of "type has no size"-custom lettering was created for the cover. Each letter different than the next, yet all part of the same family. Variety between letters is what creates this interesting texture.